Happy New Year, guys! It's the first day of 2015, and like most individuals, the members of our editorial staff have resolutions they intend to do--particularly in the area of motoring. These are simple car-related promises that we hopefully we'll be able to keep. See if you have similar resolutions. Vernon B. Sarne (Editor in Chief): "I have two car-related resolutions for the New Year. First is to give comfortable time allowance to my trips. I admit that I have a habit of leaving just in time for an appointment, which makes me an irritable driver because then I always find myself in a hurry. Second is to be more aggressive in saving up for a car I really want. I have an eight-year-old car, which I love very dearly. But I will not deny that there are new cars out there that really get me drooling. I know I can acquire one of these cars if I really want to. I just need to stop buying all those G-Shocks, sneakers, CDs and die-cast toy cars!" Paulo Subido (Print Associate Editor): "I've amassed countless parts and emblems for my 1976 Mitsubishi Galant wagon, which I restored four years ago. Yes, I'm a car-parts hoarder. Why? Because I'm worried that one day, I won't be able to find parts anymore. That, or I might have to give up an arm and a leg just to pay for these pieces if and when the prices shoot up. I have to admit that what I do is a bit extreme, but when you've experienced scouring the entire metropolis for a set of seemingly insignificant but essential, hard-to-find parts, you will understand. But for 2015, I will try to hold back on my hoarding tendencies as there might be somebody out there who needs those parts, too." Botchi Santos (Consumer Editor): "My resolution is to stop tinkering with my Supra--or, in other words, spending too much on car modification." Andy Leuterio (Writer): "My resolution is to give Beast the full-on makeover she deserves." Niky Tamayo (writer): "My resolution is to finally fix the car. Well, eventually." 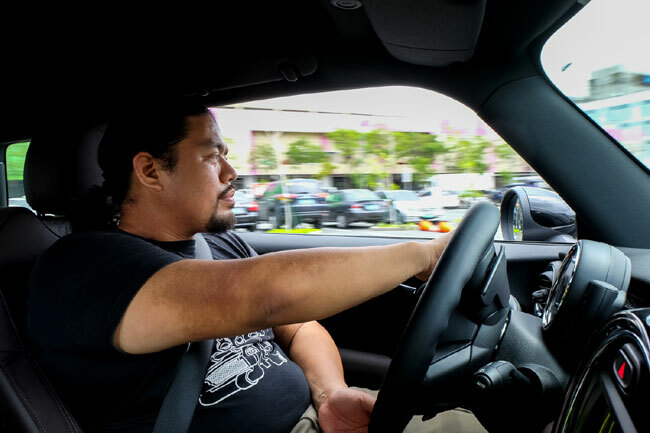 Jason dela Cruz (Test Drive Editor): "I’d like to use my two cars more often this year. I also have to figure out how to save up for the sports car I want--the Toyota 86 or the Mazda Miata or my boyhood dream pocket rocket, the Volkswagen Golf GTI. Or a secondhand Porsche 911." 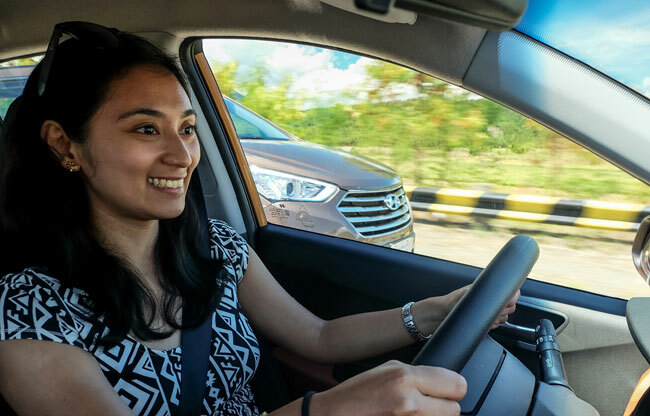 Stephanie Maureen Asi (Print Managing Editor): "My motoring resolution is to be a more courteous driver. I won't deny that I sometimes give in to road rage, so for 2015, I hope to be a calmer and wiser driver. I also hope to wash my car--or have it washed--more often. Last, I will try to plan my trips more so I can save fuel and reduce my carbon footprint." Tracy Carpena (Online Managing Editor): "I promise I'll stop eating inside the car, whether as a driver or as a passenger." Dinzo Tabamo (Online Associate Editor): "I’m not what you would call a careless person behind the wheel. I don’t text while I’m driving, I don’t drive when I’m sleepy, and I don’t pay attention to distractions on the road. But I have noticed that there are times when my focus falters--a second or two when I fiddle with Waze, a moment when my gaze lingers at a supercar sighting. So in 2015, I resolve to focus 100% while driving. I will not fiddle with mobile apps, no matter how cool they may be, and I will make only peripheral glances at anything distracting I see. And if i really have to give attention to something, I’ll pull over the side of the road. Because it only takes a momentary lapse for an accident to occur." Patrick Tadeo (Online News Editor): "My car's a mess, both the cargo area and the back seat. For 2015, I hope to declutter the passenger cabin. That's a good place to start."